In news that’s sure to cause a flurry of interest, micro-donation tech company Activistic Limited (ASX:ACU) have announced a white label contract with US Congressman Joe Garcia. The app launch follows Mr Garcia’s win of the Florida Democratic Primary, and comes just in time to provide a boost for the final Autumn leg of his campaign towards the election in November. The app will use similar backend infrastructure to the Perth-based company’s Veterans Call app which has secured several key partnerships in the last 12 months. This marks the company’s first US white label fundraising app, which will be used to help Mr Garcia engage his supporter base in the 2016 Congressional Campaign. 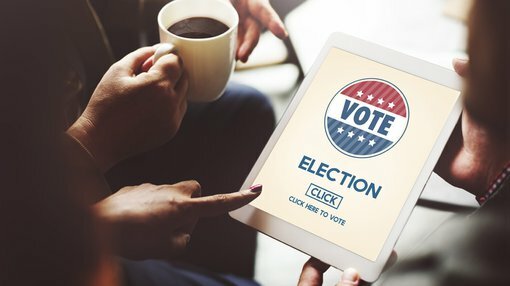 ACU partnered with content provider platform OpenDNA, who made the Jottr Elect app, to create a solution for voters that covers polling, news, in-app messaging and the ability to make donations. The company’s deal with the Congressman could mark an important step in the company’s progression into lucrative white label agreements. The term ‘white label’ refers to the development of software for a third party, wherein the program is licensed to be used under their own brand. In simple terms, it means ACU’s brand is not on the final product, but it still gets paid as if it were. White label deals are a popular practice in software development due to the fact that having a single name on the app product is more desirable and ultimately less confusing for the end user. With the quantity of money donated to the major political parties in the US, this could have a vast impact on ACU’s scalability. If the company can convince more politicians to get on board, this would open the way for significant ongoing revenue streams. Any further revenue streams for ACU are of course speculative at this stage and therefore if considering this stock for your portfolio, seek professional financial advice. ACU’s progress in this area is further proof of the commercialisation value of their Veterans Call app. Mr Garcia is running in the Western Miami-Dade County, including the Florida Keys, which collectively represents a population of 2.7 million. He is the former U.S Representative for Florida’s 26th congressional district, having been defeated in his 2014 bid for re-election. Mr Garcia has been endorsed by Bill and Hillary Clinton, President Obama and Vice President Joe Biden. With a groundswell of support behind him, ACU have a significant user base to tap into. Even if most users will not be aware of who created the software, its proven efficacy can easily be leveraged by ACU to broker similar deals in future. “Working with the Garcia campaign is a great example of the versatility of Activistic’s fundraising platform,” Dylan Breslin-Barnhart, ACU’s Vice President of North America, said.